Recently, I hosted a baby shower with a group of friends at work for a friend at work, Kristen. The theme was Milk and Cookies (and books, she's a reading teacher). The hostesses brought books to start the nursery collection...more on this in a minute. This was a really easy theme to do with a large group of hostesses. The Invitations: I blogged about these, the process, and the innards here. We hosted the shower in our school library, it's the best local for a big group of folks. Here's the sign in table, milk and cookies table, and the cookie bar. I blogged about random stuff like this (making pom poms etc) a few days ago. Here's a close up of the guest sign-in table. Heather's husband printed some vinyl letters (Kristen's baby's name, and we filled these jars (old frappacino bottles) with Cookie Crisp Cereal. I bought a bunch of different brown/yellow/white fabric for all the tables. This milk jug, and all the vintage milk jars are things I've been collecting (prior to the concept). I have a few too many. For a Sign-In Memory, we had the whole staff leave a message in this book for Thomas to read someday. We had two tables, one for the dessert, and one for the after dessert desserts. Heather let me borrow these books from her children to create cupcake tiers. I don't think her children have forgiven me for stealing their books, even temporarily. I wrapped the top book in each stack in syran wrap to prevent any grease for the cupcakes from ruining the books. I made chocolate and white versions of the Oreo Cookie Cupcake, which I blogged about Thursday. I found the perfect napkin at Party City. We served some water for the non-milk drinkers, and I saw the idea for putting (Sarah's) yellow straws in a vintage milk jar on this site that was shared with me when I posted the invite pictures ( I heart bloggers). As for the milk, my original goal was to use old frapachino bottles (I've seen this in a million times with milk or punches), but then I remembered I don't really drink fraps (I like them, I just can't afford more calories), and I couldn't find anyone else that does either, so I found these little cuties at Hobby Lobby. It was quite a hunt! I'm going to use them again, I host parties and showers all the time, trust me, they'll have a second...third...and tenth life, so we had this handy return crate as well. There are three things I love to make 'fun' at every party-the invitation, the guest sign-in, and the favors. The beginning, the end, and the memory keeper would be another way to say it, I guess. The favors this time came in the shape of a cookie bar. Edible favors-my MO, for sure! and the fig newtons previously. Each hostess brought a different cookie for the bar-wafers, buckeyes, oatmeal, peanut butter, chocolate chip, chocolate dipped fig newtons, and rice crispies on-a-stick, along with a bucket of Cookie Crisp Cereal (which we filled the invites with). I added labels and 'accessories' to each container (I blogged about these previously as well). This is where any memory of a diet went south. Guest all made big bags of treats to take with them. Each table got a vintage milk jug filled with daisies, a different fabric, and a book. We (the hostesses) sent Kristen home with the books (we each inscribed a message into the books we brought) in this little tub, with the 'guest sign in book' added to the mix as well, signed by all the guest. People pictures and a 'real report' will come tomorrow. In the meantime, here are all the pics from the shower. You have such great ideas! I check your blog regularly to see what you are creating next. Terrific shower ideas. What an absolutely awesome idea..! I'm going to remember this for the future..! This is so adorable, Christy. I love this theme, and I love the brown with the white polka dots! That dessert favor bar looks like a dream come true:) So many awesome touches and ideas. Soooo many great ideas! I loved it all! That is such an original theme and your ideas are all so cute. If You Give a Mouse a Cookie is one of my (and now my son's) favorite books. The vintage milk jugs are a wonderful touch. I'm your newest following from napualaniscloset.blogspot.com. I really need you to host some kind of shower for me!...lol Love it and what wonderful idea and what a lucky friend! What a cool host you are! So cool! This is ADORABLE. Love it. What an awesome concept! I can see doing a children's birthday party in this theme as well. May be using it with our youngest who has recently turned one in the distant future. What a FANTASTIC shower! Nice work! :) I love the use of children's books as cupcake towers - so cute! Thanks for sharing! Very cute! Your post caught my eye because I am having a milk and cookies birthday party for my daughter this weekend. I am going to post about it Monday or Tuesday! We have some similar ideas! Christy that is the dang cutest thing EVER! So creative I am blown away by everything you did! What a cute idea! Thanks for sharing it with us. Girlfriend - what a baby shower! You are so talented with all these amazing ideas. I wish I could have been there :) I know the New Mom was thrilled with her perfect shower. My fave thing was the 'return bottles' crate - how cute! Love it all! (I found you at A Vision To Remember.) And I "follow" your blog now! Can't wait to see more of your beautiful ideas! That is so neat. I love theme parties, and yours turned out really well. I'll have to check by and see your other parties. very cute! One of my fav themes! I love your incorporation of books too! what a great theme! I love book showers. Wow! This is an amazing party. I love so many of the details. I love how you held it in a library with books as part of the theme. That's such a great idea. Thanks also for sharing where you got the milk jars. I love the idea of using them but don't drink frappacino's and have never seen the jars themselves. I think I'll start stocking up the next time Hobby Lobby has a coupon! Thanks so much for sharing so many great ideas and for linking up at Shindig Saturday. Can't wait to see more of your great ideas! Thanks for sharing these great ideas. So cute. Absolutely adorable! 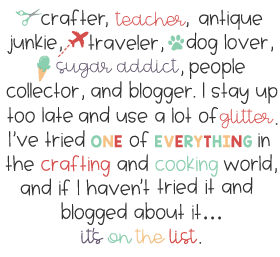 I just love looking at your blog..and all the past blogs..to see your ideas! GREAT ideas and very original! You should do party planning as a job if you don't already! Ridiculously cute! Love the theme and all the great decorations. OMG! this is just too clever! That is one of me and my kiddos favorite books! Lol, even though we own it my oldest still begs to check it out from the library! I wish I would have though to have everyone sign a book for my baby shower. I love all the details. you did such a great job. Thanks for linking up! This is just too cute!! Looks very well thought out and put together. Great job! that is absolutely DARLING!! wishin i would have had a sign in book at my little boy's baby shower not- saving that idea for the next one! love! great job on all the cute details!! What a wonderful, creative party! I love the milk bottles, especially! What a great shower theme. My favorite so far. Thanks so much for sharing & have a great day! What a great baby shower. I love the milk jugs. I need to check my HL to see if they have any! What a cute baby shower! I'll have to remember all your great ideas. I love the milk bottles. Beautiful shower! Such wonderful details! What an amazing shower! I've been thinking on these theme for a while now. Now I have someone to look up to! LOVE IT! Adorable Shower! So many great ideas! I'm your newest follower, I would love for you to stop by sometime! I just found your blog and am your newest follower. This idea is DARLING!! I will definitely have to keep this in mind for next time I give a baby shower (or even a birthday party). Thanks for all the inspiration. so cute! I love the bottle return crate. Nice detail! soooo adorable!!! What a fun theme!! this is awesome!! Love all the ideas!! 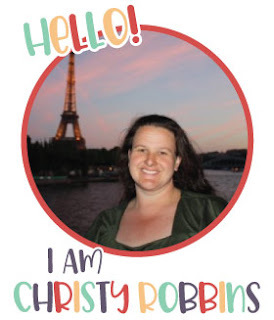 What a lucky mama!I'm hosting my first Linky party and would love for you to submit to it! You and your fellow hosts knocked one out-of-the-ballpark on this one. So adorably cute & fun. Wow, what a party! I love the 'book' dessert plates. So many fun ideas. This is the most adorable baby shower idea I have ever seen! Super cute shower! My mom has a big old milk jug like you had! I love the little bottles you found at Hobby Lobby too. Thanks for linking up! This is the most adorable idea! I've never heard of this and I think it's so cute! I love this idea!! I wish I had a shower to plan for I would definitely steal this idea. I love this! Everything about it! thanks for posting the update! I remember featuring your invites. Like other have said, if I had a shower to plan for....this would be the theme!! This idea is great for so many different celebrations! So cute...signing "If you Give a Mouse a Cookie" is brilliant! So fun! You have really great ideas. Thank you for linking this to my party! Too cute - I will be hosting a baby shower soon and this might be a fun addition! This is PERFECT for my new weekly linky party - Foodie Friday! If you got a sec, please link up! Found you on Blue Cricket Design! This is such a cute party I would love it if you would link up at my first Eats and Treats Party! It's for anything foodish, kitchenish, cookingish related. oopsie here is the link for my party. Food items for the baby shower are one of the most important features of the baby shower. When guests arrive at a baby shower they are expecting food that includes desserts, appetizers and finger food for baby shower. I've been saving this in my favorites! I love it. I'm a teacher, too and I can't wait to catch up on all of your blog posts now that summer is here! I’ve never seen this theme before, this is fantastic! I’ll be linking.